I just love it when fur babies are involved in weddings! It's such a happy day for everyone and one that should be shared with everyone in the family, including four legged members! 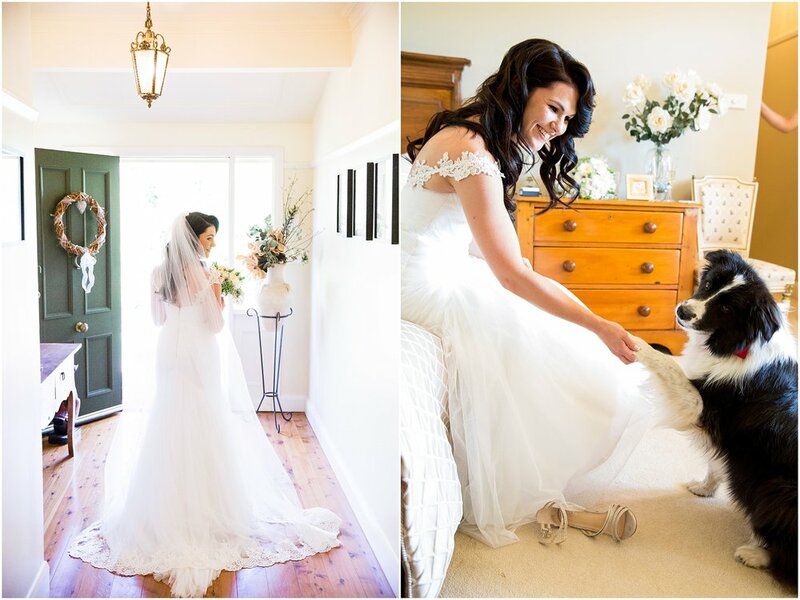 Maddie and Liam's fur baby (Shadow) had the cutest photos with them both while they were getting ready, as well as Maddie's family dog (Mookie) who skilfully held Maddie's engagement ring on her nose! The girls dresses were all strikingly in white. 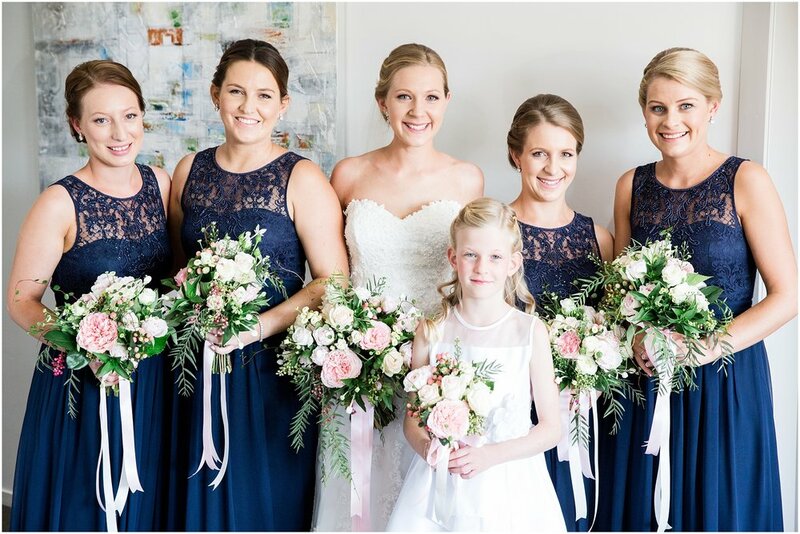 Maddie chose her dress because it was simple, flattering and timeless, a Wendy Makin dress from Bella Donna, Woolloongabba. The girls wore white lace dresses from Forever New. The same fabric was brought out in two different styles, so the girls were able to choose a style that suited them best. 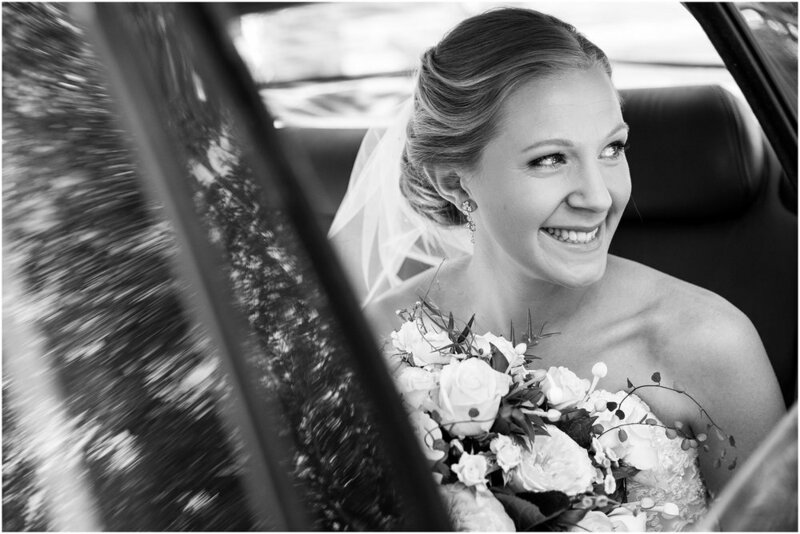 Maddie and Liam were married at St. Christopher's Cathedral Parish in Manuka where Maddie pulled up at the cathedral in her friends Model A Ford Woody. 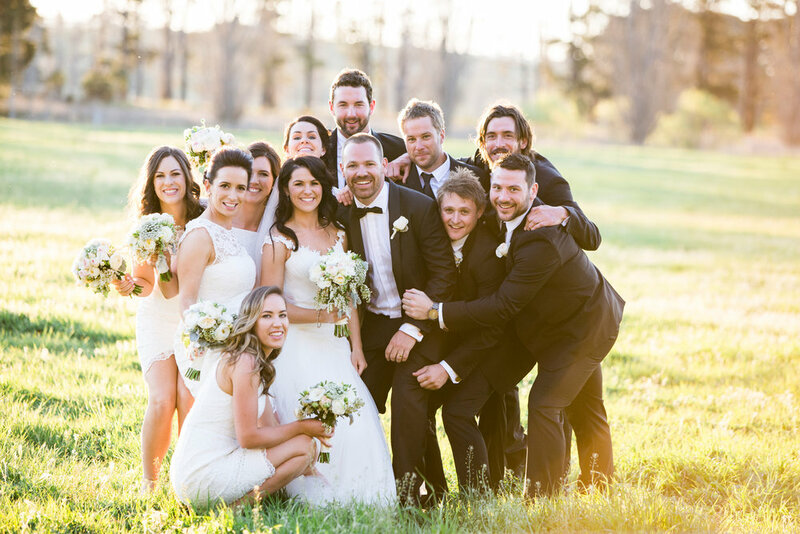 It was a sensational spring day and all of their closest family and friends were there to witness their beautiful ceremony. Spring weddings have an amazing opportunity to get some awesome sunset and low light photos during their location shots so we headed down to the field near Grazing just before sunset but we also took the couple out for some sneaky but magical sparkler photos at the end of their reception! 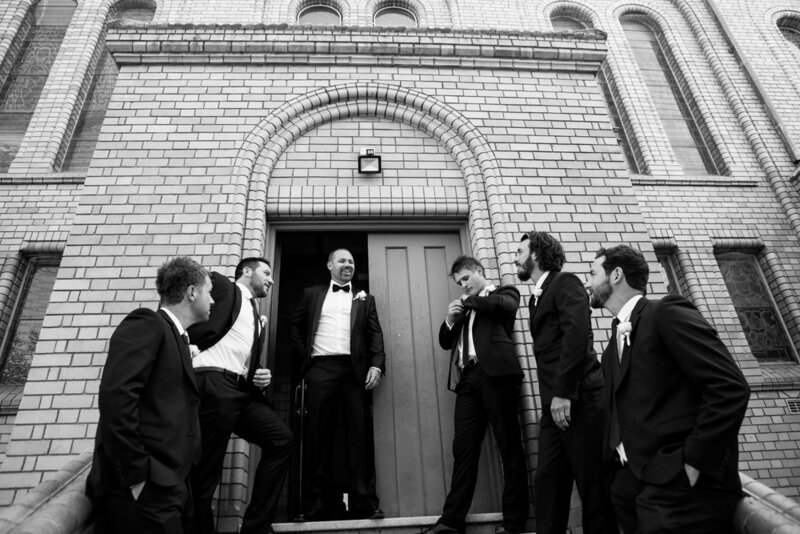 Check out what time the sun sets on your wedding day! The reception was held at the popular Grazing at Gundaroo, an award winning restaurant and rightly so.....the food is to die for and the service is excellent. It was an elegant, country style that they themed 'made with love'. They made it really personal by making a lot of decorations and other things themselves. Maddie's dad spent months collecting recycled timber and other items for decoration, potting plants and making country style table settings, a guest table and even a hessian-wrapped lectern. Liam even hand welded the table numbers from old doors on our Queenslander house! They flooded the venue with extra flowers and fairy lights and it was stunning. 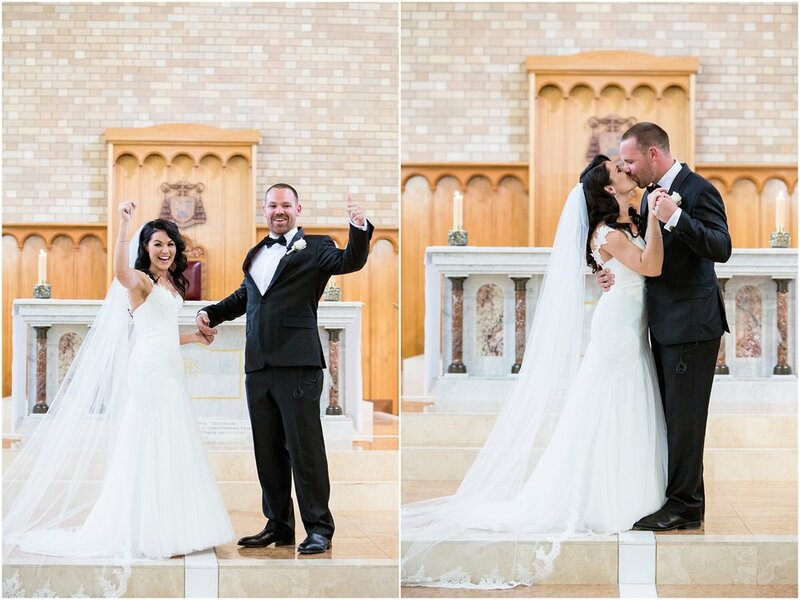 Maddie is a dancer and had a beautiful first dance with Liam, followed by a tutorial for all of their wedding guests on how to Line dance which was hilarious and lots of fun! 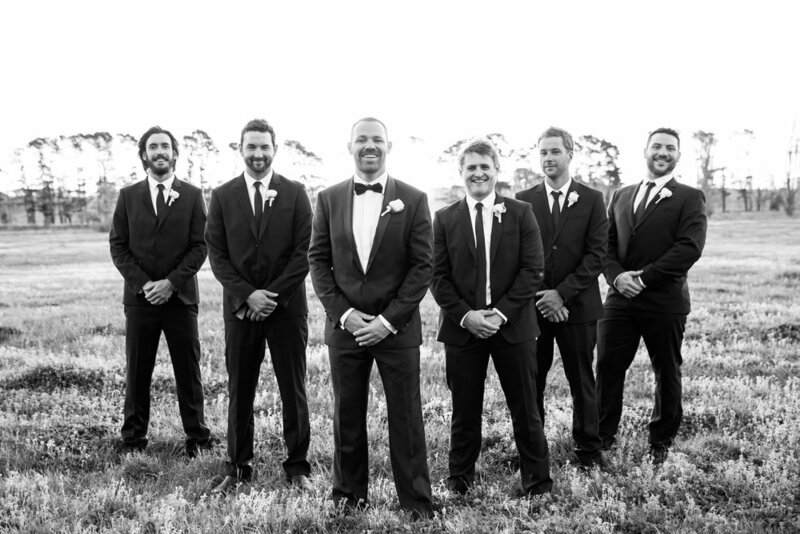 Bridal party gifts - Etsy "The boys had bronze Australian Penny cufflinks - perfect for the Aussie bloke groomsmen! The girls delicate silver bracelet with a pearl and letter of their names"
Flowers - Jamison Flowers - David Austin roses, Queen Anne's lace, spray roses, Fressia's, Pieris, hellebores and dusty miller. Maddie's shoes - Kardashian Kollection - "We both had stickers made for the bottom of our shoes with our established date too. Mine was a blue horse shoe for my 'something blue' and good luck. Liam's was a green four leaf clover to represent his Irish background and good luck!" Car - A Model A Ford Woody. The car was originally made in 1929 and restored by Maddie's friend's grandfather in 1993. All the body work is made by hand from Tasmanian Oak! 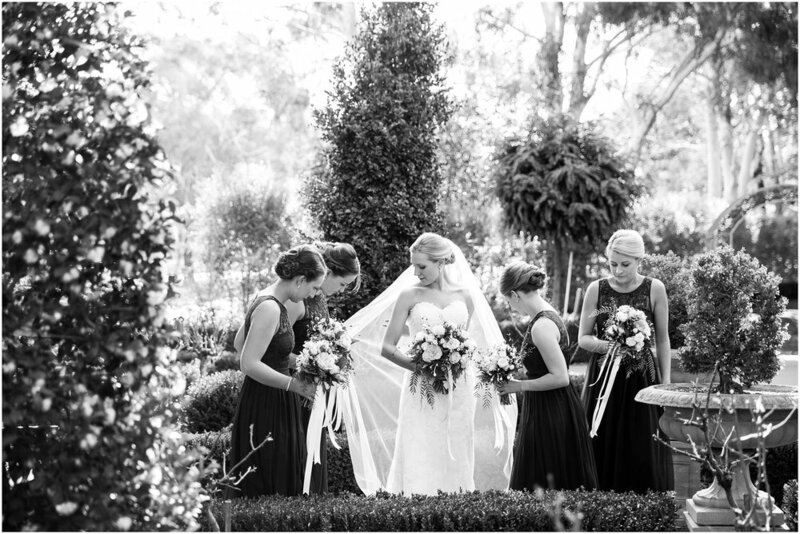 Grazing at Gundaroo is a perfect venue for country themed weddings and offers so much in the way of opportunities for beautiful photography. 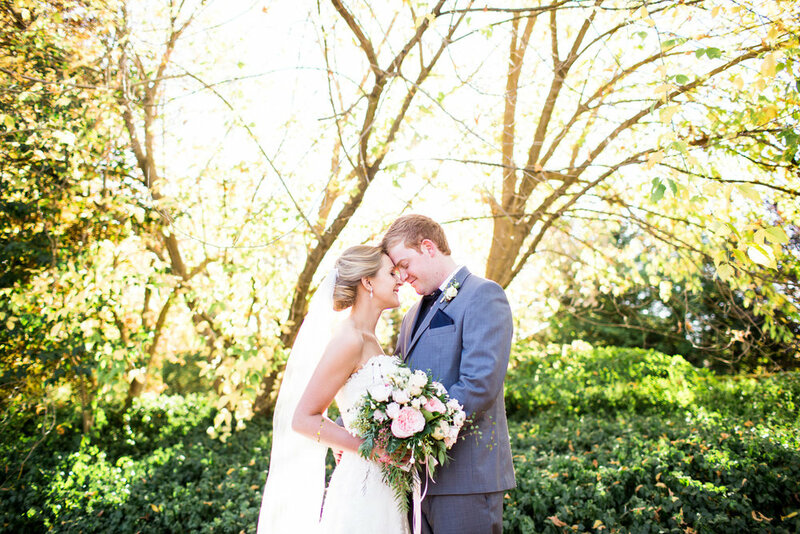 If you're considering country wedding venues then reach out to Tanya and Kurt to discuss your day!